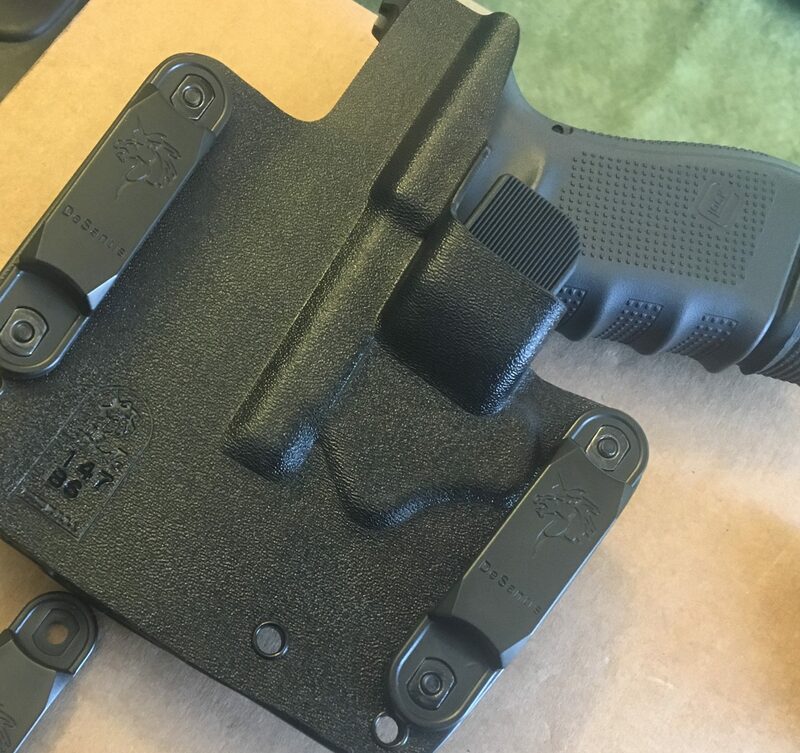 The majority of Kydex holsters use a tension retention system. 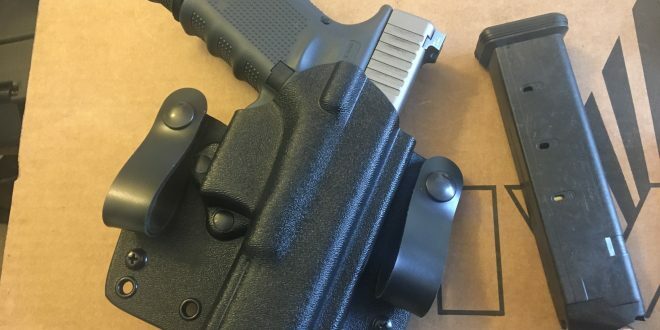 Manufacturers, using a variety of methods, provide an (usually) adjustable level of retention on the firearm to hold it inside the holster during carry and keep it from being lost unintentionally. It is the most common method and it works well but like all systems it has limitations and draw backs. 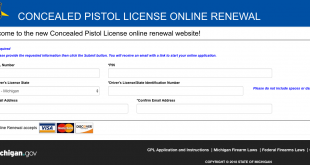 Level I retention (tension) relies on pressure around the firearm from the holster and the wearer for proper use. 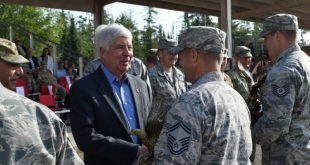 I’ve seen several strange methods for ‘testing’ retention levels. Wildly shaking the holster up and down by hand so your gun flies somewhere into space or doesn’t but is impossible to remove from the holster without a pry bar and Crisco were impressively scientific. Setting Level I retention is a ‘small adjustments’ process of gradually moving tension levels up and down. The firearm should not freely exit the holster while it is worn but also not be difficult to draw. If you trip and fall or your body moves in an unexpected way your pistol should not fly free however the grasp of the holster on the firearm should not be so drastic that you pull the holster, pants, bag, bra, etc. along for the draw stroke too. Setting this involves putting the holster on correctly with belt and any/all other devices set for tension and practicing drawing the pistol. Note: You should do this anyway even if you are not setting tension as it is necessary dry fire practice. Followed by removing the holster and making incremental adjustments to the tension to set it in the sweet spot. Goldilocks testing “Just Right”. Time necessarily spent. 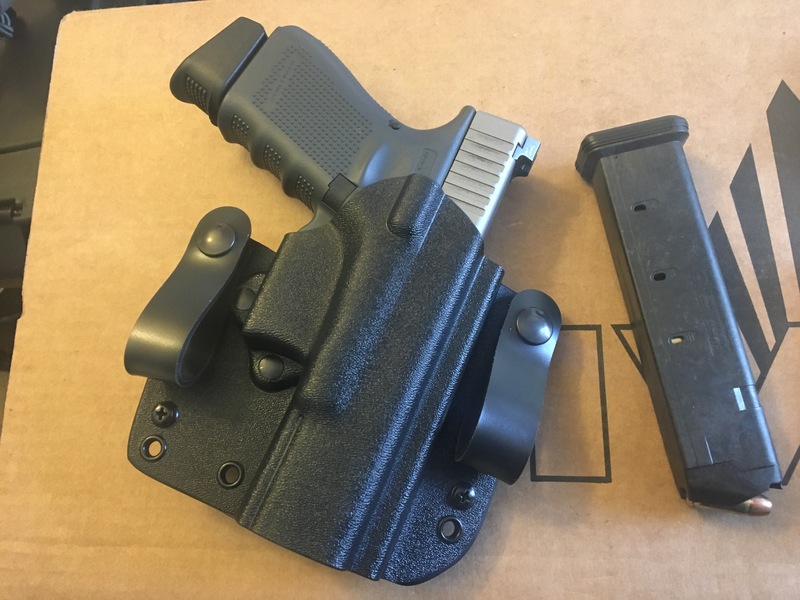 The drawback is if you change belts, pants, carry location, or anything else that changes the tension on the holster the draw pressure and retention capability are altered. This isn’t an issue if you double check and adjust accordingly if necessary. It’s also not an issue if you are using Level II Retention (mechanical). DeSantis’ SL Raptor has a conventional layout for close carry Kydex holsters. 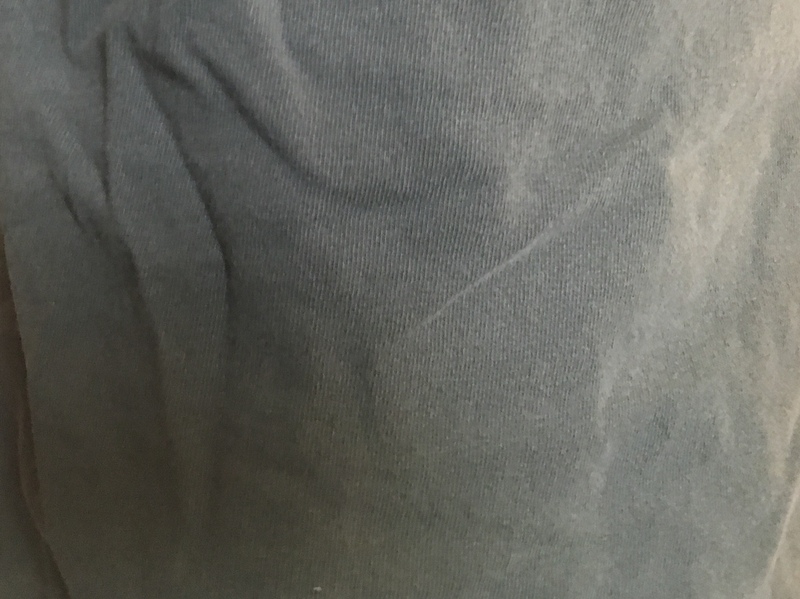 Two panels held together with a gentle contour to form around the hip. The outer panel is shaped to case the firearm while the inner is designed to hug nearly flush to the body. It resembles every other quality Kydex holster I’ve seen. The DeSantis SL Raptor utilizes Level II retention. The SL ‘Self Locking’ aspect of the Raptor retains the pistol at the trigger guard by a mechanical lever that moves out of the way when the thumb button is pressed. Tension on the holster is not a factor in pistol retention. 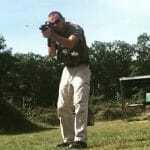 Having your belt a little more loose for comfort doesn’t risk loss of your sidearm. The SL Raptor was the first level II holster I’ve gotten my hands on beyond the infamous SERPA. Personally, I experienced no issues with the SERPA design but the thumb break used by DeSantis has some distinct advantages. The thumb break is quicker and utilizes muscles in your hand that aren’t nearly as involved in pressing the trigger. It is a smoother and safer draw design than from the SERPA. In the outside the waist (OWB) configuration the SL Raptor can be set for a 1.5″ or 1.75″ belt. The ride height has about a .25″ adjustment up and down. Set it for your belt size and on the hip it goes. Sitting with a very slight forward cant. Comfortable. 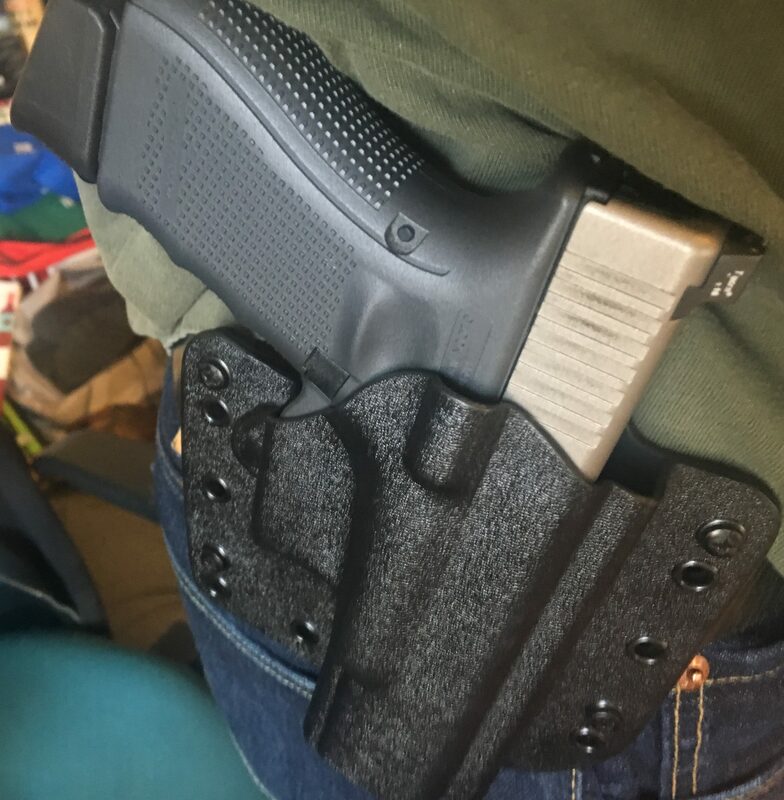 Even OWB under a T-Shirt the holster does well concealing, in the spring weather wearing jackets and sweatshirts carrying concealed OWB is no challenge. The inside the waistband IWB configuration is not overly bulky. Utilizing the belt snaps the SL Raptor sits securely and still does not alter the draw pressure required to pull your sidearm. 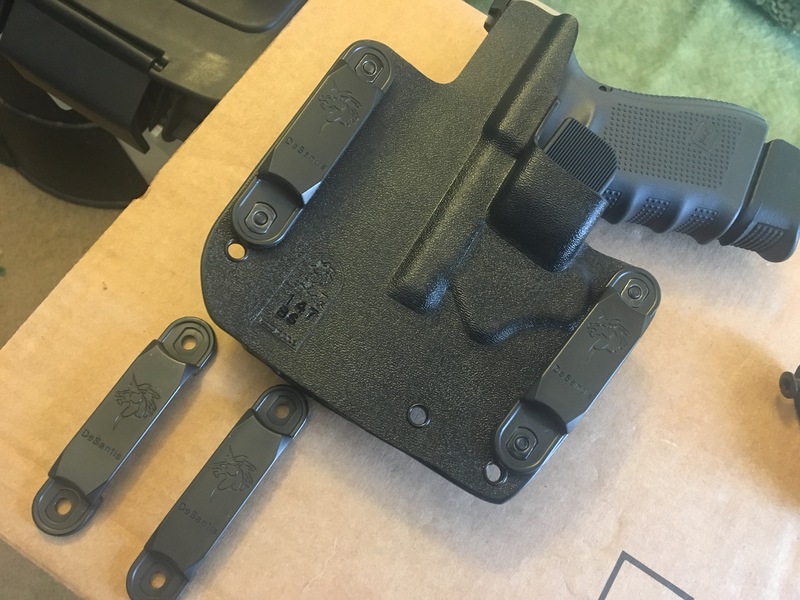 Drawing my Glock 19 exhibited none of the drag characteristic of level I retention holsters. It felt far too loose and easy clearing the pistol in all actuality. But deliberately avoiding the thumb release resulted in a very (appreciably) stuck Glock. I was unable to get the pistol to release in any manner that doesn’t actuate the thumb break. Both outside the waistband and inside the waistband required an easy but deliberate actuation of the thumb release. 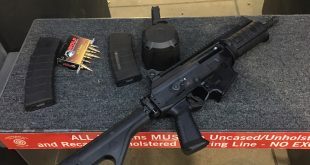 In the event you can’t reach the release with your thumb, pressing the grip of the pistol firmly into your body while drawing also actuates the release. The SL Raptor was only deficient for me in one way, a subjective one a that. The included IWB mounting belt loops were less than ideal with my belts, I don’t like the loop mounts anyway and these were more of the same. Slow and somewhat irritating to thread and snap around the belt and with little in the way of adjustment to cant for comfort. In the end though, not an issue. The SL Raptor is compatible with after market mounting hardware like the G-Code Belt Clips and Super Mojo allowing users to customize this DeSantis to their precise preference. The SL Raptor adds a capability rarely found in concealable holster with positive mechanical retention. The added benefit of a very smooth draw stroke and the option to configure IWB or OWB gives this DeSantis offering a rare and welcome flexibility. Previous The Ethical Imperative for Small Arms in Private Hands.